How do we offer same day carpet cleaning San Clemente services? Well, its very simple to answer this questions. Although we get asked often, how is it possible we are able to respond on same day? We have dedicated carpet cleaning crews out every day taking care of you, our customers. So, if you are in a last minute need for carpet cleaning San Clemente, you have reached the right place. We are proud to offer our same day carpet cleaning San Clemente including our amazing specials to come with. We care about you, and we would like it for you to stay with us in the future. Please visit us on the various social media platforms to see what your peers are thinking of us. We are a professional carpet cleaning San Clemente company, offering commercial carpet cleaning as well. In addition we offer air duct cleaning & upholstery cleaning. Carpet Cleaning San Clemente Service and Surfing. San Clemente is the most southern point on the map of Orange County California. In addition, San Clemente is the home for many surf loving ladies and gents. Being a beach town, like many other Orange County beach town has its perks. However, living and the loving the beach definitely has some aspect we need to address more carefully. Normally, when most of you attend the beach regularly you bring home some sand. Moreover, quite often the equipment you bring back home with you is wet. Therefore, when combined together we get a sandy or muddy home. In addition, when it gets into the carpet, we get a lot of black spot pooping up. In that case the next thing you should do is search for the best carpet cleaning San Clemente. Carpet Cleaning San Clemente will Support Your Lifestyle. How many of you have pets in the house? The Orange County beautiful weather and the local dog beach provide a great atmosphere for growing a happy dog or cat. With the experience Dr. Carpet has gotten over the years, most of you have pets. When we have pets in the house, they also manage to bring some dirt from the outside. Moreover, pets have the tendency to urinate or poop in our house as well. By doing that and leaving pet stains on the carpet, they increase the need for a carpet cleaning San Clemente. In addition, considering the pet stains on the carpet are not treated in time, they will grow bacteria and generate bad odors. We are sure neither one of you like to get back home after a long day at the beach for bad odors. Therefore, we recommend to call for a local carpet cleaning San Clemente to freshen up your home. Same Day Upholstery Cleaning San Clemente. When you notice that your upholstery is stained, unlike the carpet, it is usually becomes tougher to remove. Your typical upholstery made from microfiber and many other fabric like materials is covering a large cushion. Once your stain digs deeper into the cushion, it becomes harder to penetrate and remove. We strongly recommend to call for upholstery cleaning San Clemente service to help your prolong the life of your upholstery. Typically we recommend our customer to get a full package of carpet cleaning and upholstery cleaning around Fullerton. That way you enjoy the space around your house and breathe a fresher air. For more information about upholstery cleaning in San Clemente and carpet cleaning San Clemente contact us. Air Duct Cleaning in San Clemente & Carpet Cleaning San Clemente. You may be familiar with the situation where you clean your house, and the next day its dusty all over again. There could be many reasons for that need for repetitive dusty house. However, in many cases you will find out that the main cause for it is dirty air duct vents. In case you have not called for air duct cleaning San Clemente in a long time, the air you circulate in the house is full of dust and bacteria. Our past experience has showed us dead mice and many shells of bugs exist in your air ducts. Therefore, it is necessary to schedule air duct cleaning San Clemente in order to deep clean your air duct vents. Air duct cleaning San Clemente will freshen up the air you breathe. In addition, in cases where it is necessary we will disinfect and rightfully treat the air duct so the air you breathe is fresh. Why should you suffer in your beautiful home from breathing issues and allergies. Your home is your place of comfort, and we could help you get there. Please contact us to hear about our various solutions for your air duct cleaning & carpet cleaning San Clemente needs. Dryer Vent Cleaning San Clemente Is offered by a top Carpet Cleaning San Clemente Service. Unlike carpet cleaning San Clemente, the dryer vent cleaning around San Clemente is a safety hazard. Yes, a dirty air duct system is not healthy. However, clogged dryer vents could lead to serious fire and fatal injuries. Therefore, in case you have experienced issues with your clothes dryer, please contact us. If you notice that the clothes are not drying, or if the dryer vent is not letting out the hot air properly, you must attend it urgently. Often, in large building the dryer vent San Clemente services need to climb up the roof and unclog 5 stories of dryer vent. Please let a professional dryer vent cleaning company around you do the job properly. Tile Cleaning San Clemente to Shine With The Carpet Cleaning San Clemente. Although many of you have gotten rid of the carpet around the house and installed beautiful tile floors, you haven’t dodged the cleaning bullet. Tile cleaning is a close friend of the carpet cleaning. However, tile cleaning is a much tougher process and mostly much more expensive. Between your tiles you will find straight lines called grout lines. Your grout lines tend to absorb dirt and allow it to sink into the grout. In addition they are usually made out of sand like material. Therefore, in order not to lose the beautiful color of the grout, you should keep up the the cleaning. Please call a professional tile cleaning San Clemente to help you solve the issue. Search for a leading carpet cleaning San Clemente service for the complete package. Commercial Carpet Cleaning San Clemente Solutions. 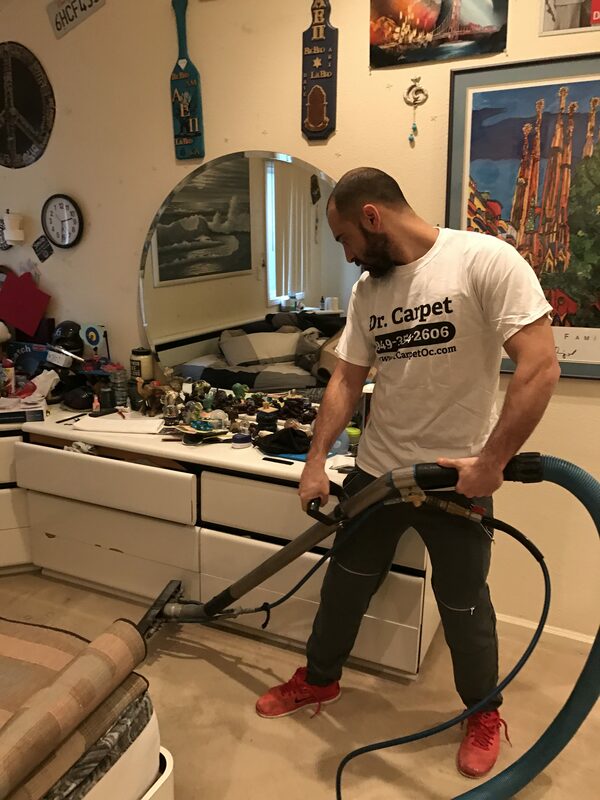 When you are looking for a commercial carpet cleaning San Clemente you should take a closer look at your needs. You will find a large deviation between commercial carpet cleaning San Clemente prices and quotes. So, how should you know which one to choose from? The appropriate form of commercial carpet cleaning to answer your needs depends on many aspects. The type of your business and natural foot traffic that your carpet absorbs every day. For the best commercial carpet cleaning San Clemente and packages for businesses contact us today. Also, you can visit our local carpet cleaning service in San Clemente team.